Enjoy the latest technology powered by the SoundDNA platform with Sonic Innovations Enchant 80. With Enchant, you will be able to take advantage of SPiN management allowing for powerful directionality and noise reduction, creating a better experience enhancing every moment. Enchant also boasts an impressive lineup of products that feature impressive sound quality and control. It all starts with the SoundDNA platform which enhances Speech Variable Processing, Noise Reduction Strategies and much more! Speech Variable Processing – Preserves the soft and loud sounds that differentiate words and enhance speech clarity. SPiN Noise Reduction – an quick working algorithm that finds a sound’s source and modulation rates. Due to its speed it can preserve speech and reduce noise. Impulse Noise Reduction– The amplification of the clinking of silverware or jangling of keys is often rated as one of the most uncomfortable aspects of wearing hearing instruments. Impulse Noise Reduction suppresses these unexpected sounds. Soft Noise Reduction– Soft Noise Reduction reduces these quiet but distracting sounds, like whirring fans or the soft rumble of a refrigerator, without modifying the amplification of important speech-related signals. Wind Noise Reduction– Time spent outdoors will be more enjoyable because wind sounds won’t be amplified. 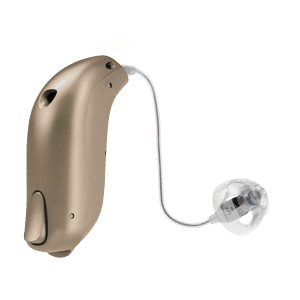 The Wind Noise Reduction feature quickly sets the lowest frequencies to an optimal omni-directional response and applies maximum attenuation across all frequencies, providing instant relief. Adaptive Directional Microphone System– Enchant hones in on the source of a sound and helps reduce unwanted noise so you can stay engaged in your surroundings. True Directionality only available in the Enchant 100. Binaural Coordination– Enchant can synchronize actions between the left and right devices. For example, volume and program changes made on one device automatically occur on the other at the same time. 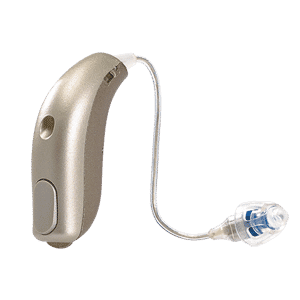 Non-telephone Ear Control– Reduces or mutes environmental sounds on your opposite phone ear for more focused telephone listening. Wireless Accessories– Wireless connectivity puts Enchant into play with common technologies like TVs, mobile phones, MP3 players, and more.